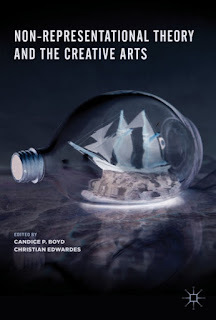 Edited by Candice P. Boyd and Christian Edwardes, Non-Representational Theory and the Creative Arts has just been published by Palgrave MacMillan in 2019. This chapter discusses the musical compilation series psy(co)motion in the context of a Guattarian analysis. 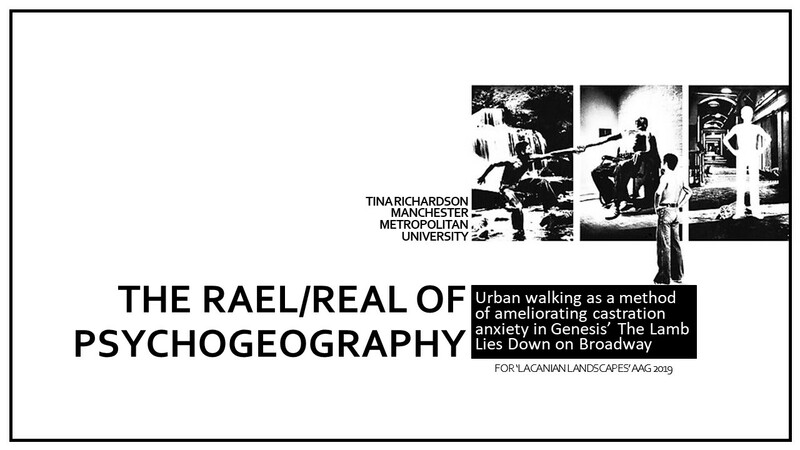 It introduces the set of psychogeographically-oriented CDs within the mix-tape/CD phenomenon while situating it as a form that challenges ossified systems of power. 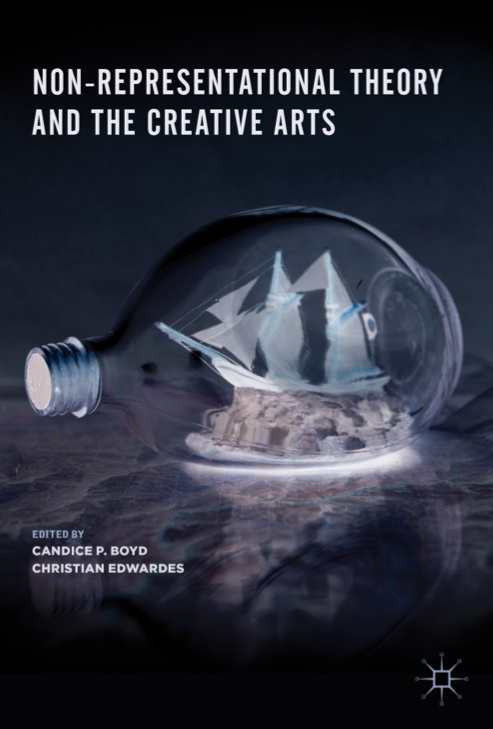 The chapter goes on to discuss whether psy(co)motion manages to successfully recuperate itself through the molecular creation of the object, and via its virtual and physical dissemination. Rael is not real, but he is a popular culture representation of a real individual who is a stranger in a new city. As a recent immigrant to New York, Rael has to negotiate the alien space that has suddenly become his home. Part hero, part graffiti artist, part urban explorer, we witness our protagonist traversing the physical landscape of the city and that of his own psyche. This paper explores the Lacanian concepts of castration anxiety, lack, the Other, and the real, in the context of the album The Lamb Lies Down on Broadway (Genesis, 1974). 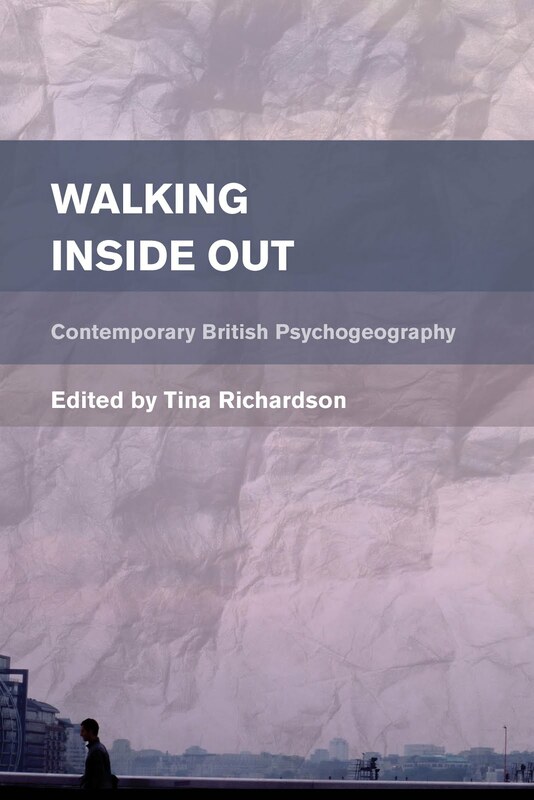 It examines the anxiety displayed in the character of the story and his attempts to work through this by using the landscape of the city as a vehicle for his own self-therapy. 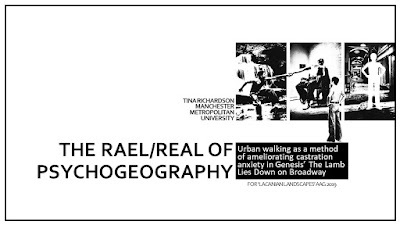 By analysing Rael’s behaviour in the story, Richardson demonstrates that by taking a psychogeographic approach to the physical space of the city, and the abstract space of his own mind, Rael manages to work his way through the aesthetics of living in New York, as a foreigner, by facing his own troubled past. “It is Freud’s discovery that gives the signifier/signified opposition its full scope: for the signifier plays an active role in determining the effects by which the signifiable appears to succumb to its mark, becoming, through that passion, the signified.” (Lacan 2002, p.274). 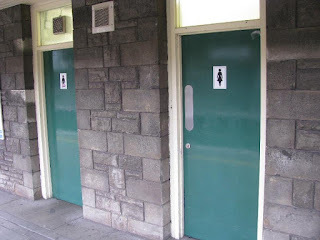 This blog introduces Lacan’s theory of sexual difference by using his ‘anecdotal’ example of urinary segregation. It is available here to use as a study tool. Firstly we have Ferdinand de Saussure’s linguistic sign (Saussure 1966, pp.66-67) (above), which forms the basis of Lacan’s model. 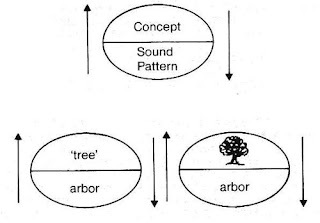 With his model, Saussure assigns the concept (the top level) to the signified, and the sound pattern (the lower level) to the signifier, explaining that their association is arbitrary (Saussure 1966, p.67). The above image is Lacan’s topography of the unconscious (Lacan 2002, p.141). Note the similarity with Saussure’s, to whom Lacan attributes it. However, Lacan demonstrates the importance of the signifier by reversing the hierarchy here in his own algorithm. The signifier, the unconscious, cannot be a true representation of the signified, because no direct exchange exists. 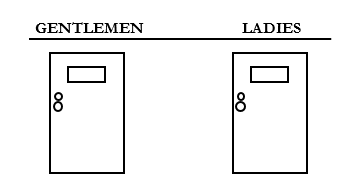 This is Lacan’s illustration of “urinary segregation” (Lacan 2002, p.143). 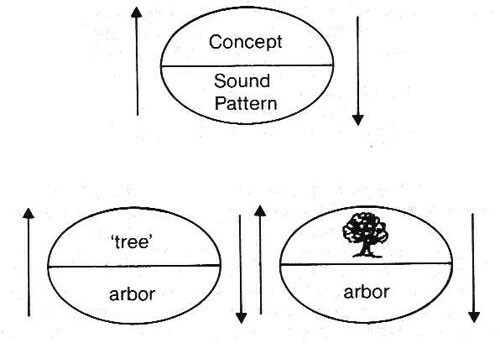 Lacan’s anecdotal graphic demonstrates how “the signifier in fact enters the signified” (2002, p.142). 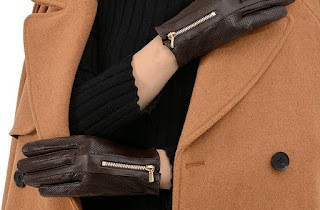 His aim here is to show how the signifier becomes materialised in reality. His example is based on the traditional “faulty illustration” (ibid.) but here he uses associated binary terms. 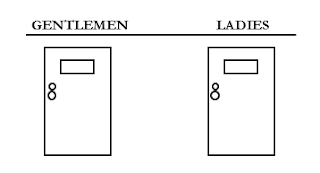 Lacan explains that from the train windows the children in his story experience a different physical perspective due to their seating arrangement: the boy believes they have arrived at “ladies” and the girl at “gentlemen” (2002, p.143). So, what in fact is happening for Lacan is that the railway lines represent and actualise the bar in Saussure’s model, becoming “a barrier resisting signification” (Lacan 2002, p141). Thus, the real signifier here (the toilet doors) creates for the children an ideological binarity positioning them in opposing domains (Lacan 2002, p.144). Saussure, Ferdinand de. 1966. Course in General Linguistics, ed. by Charles Bally, Albert Sechehaye and Albert Riedlinger, trans. by Wade Baskin (New York, Toronto and London: McGraw-Hill). Lacan, Jacques. 2002. Ecrits: A Selection, trans. by Bruce Fink (New York and London: W. W. Norton and Co.).